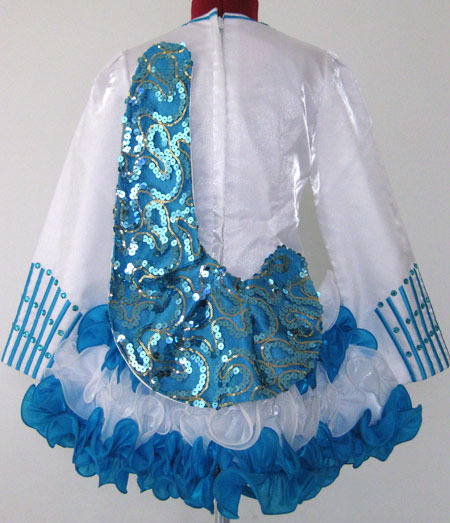 Dropped waist at seam: 28½"
Centre front neck to dropped waist: 16¾"
Centre back neck to dropped waist: 15¾"
Centre back dropped waist to hem: 10¾"
White twinkle satin bodice and sleeves, with vibrant turquoise embroidery design. 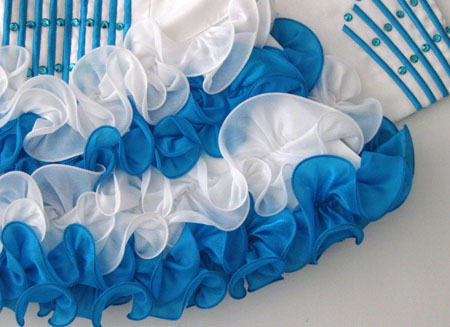 Adorable cupcake skirt ruffles constructed from alternating white and turquoise twinkle satin with tone on tone trim. Adorable sparkly shawl constructed from turquoise and gold sequin lace overlay. Turquoise and white striped skirt lining. 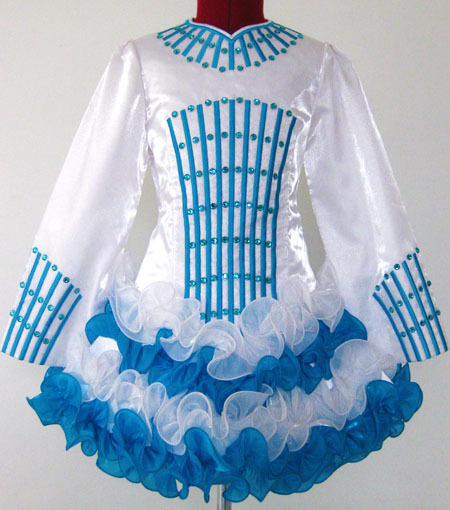 Turquoise coloured crystals have been added to the front bodice and sleeves for additional sparkle.